With the information below and using our selection charts, the type and number of spacer elements required for each ring and how far they will be spaced can be determined. exact bell, flange or coupling O.D. Our basic formuals below will help you choose the correct Raci Spacer element. 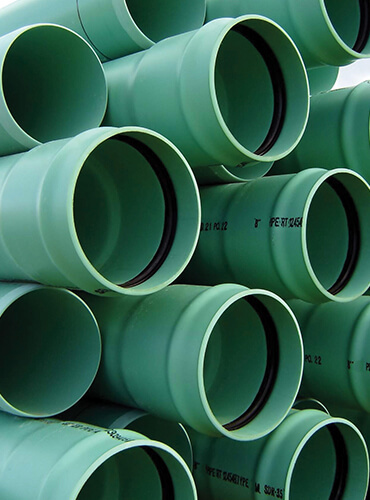 Casing pipe ID – Carrier pipe O.D. / 2 will give you the desired range for element height. Go to the table that best addresses the carrier pipe O.D. and load carrying capacity to determine the different heights that are available within that style. *Clearance factor is .6 inches or 15 mm and ensures bell clearance. *Clearance factor is .6 inches or 15 mm and ensures insertion ease. Once you have determined the element type and the height necessary return to the table to determine the number of elements required to complete a ring. *The spacing of Raci spacer rings must ensure that the carrier pipe is fully supported throughout its length. 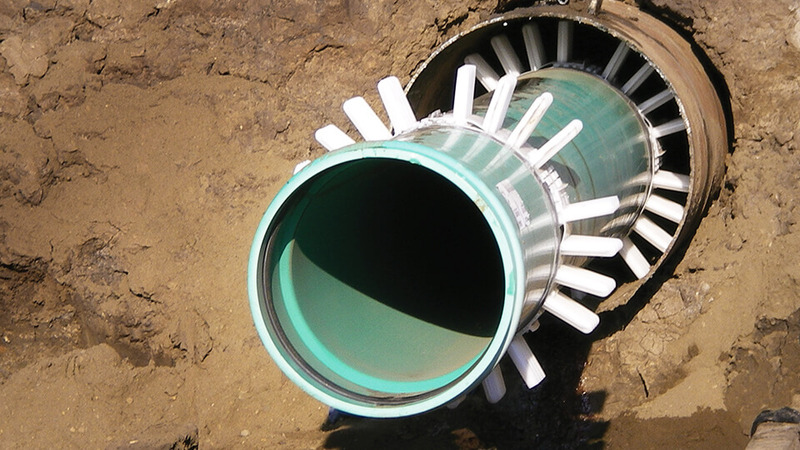 To guard against the effects of differential loading at the entrance and exit points of the casing, two rings are used at the beginning and end of the each casing, regardless of pipe size or length.